Your Clear Spring employees can get a new source of motivation from the services offered by Hagerstown Canteen Service. Full service vending, office coffee services and water delivery and filtration have been our area of expertise for years. We offer a free, no-obligation consultation where we can discuss the needs of your unique business. 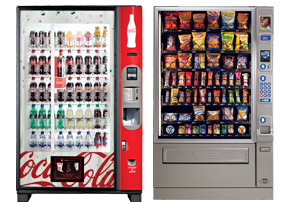 Vending machines installed, filled and maintained for free!